SONY is hoping to catch up with major technology companies such as Facebook Inc , Apple Inc and Google by displaying a high level of innovation. It has staked it’s reputation on the line by launching this advanced, re-invented and cute little version of it’s Aibo Robo dog after over a decade. This cute puppy uses Artificial Intelligence and deep learning to recognize it’s owner. The robot dog uses advanced facial recognition technology and communication to interact with it’s owner and their family. 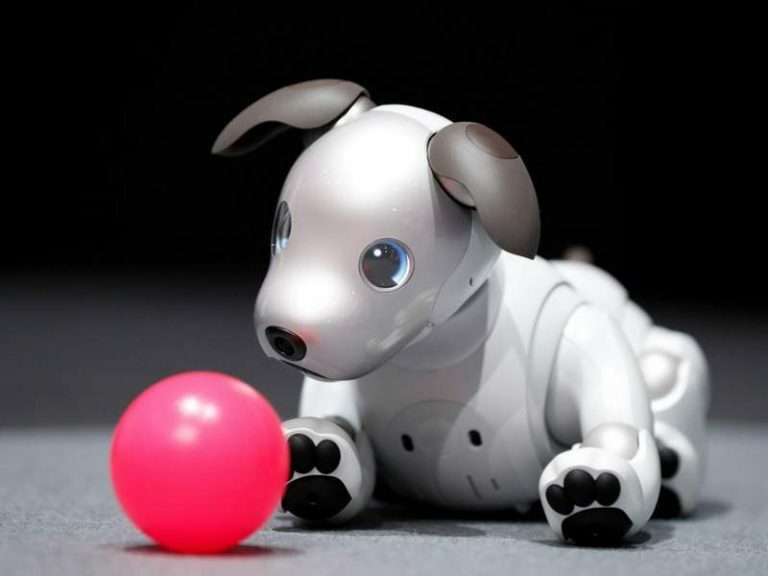 SONY says this cute robot dog can recognize up to 100 people . The more you interact with it, the more it learns and responds to commands. It is very cheerful and playful and it loves children. Pink is Aibo’s favorite color. The robot dog can move smoothly and naturally like a real dog. It can bark, wag it’s tail, play football, understand simple commands like “sit”,”come” “charge yourself” and much more. 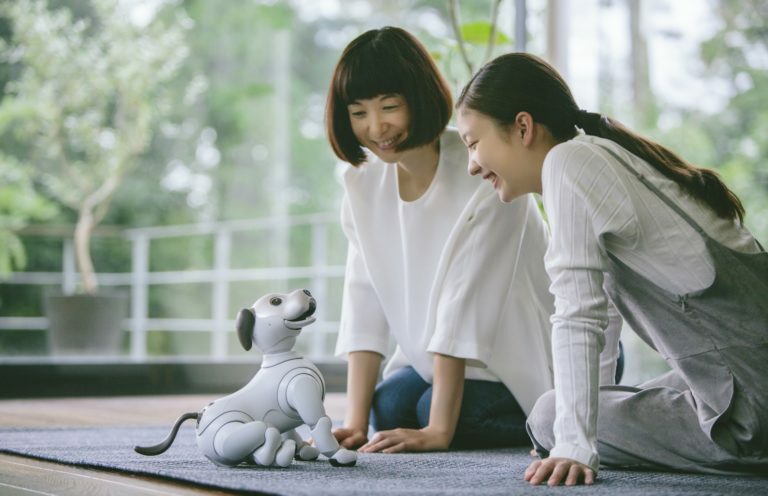 With sensing and AI technologies, AIBO can run toward its owner and detect smiles and words of praise, and can remember what actions please the owner. Its eyes are made of organic light emitting diode (OLED) displays making it capable of diverse expressions. Inside the box we have the Aibo dog, along with accessories like a pink ball, charger and “Aibone” toy bone. 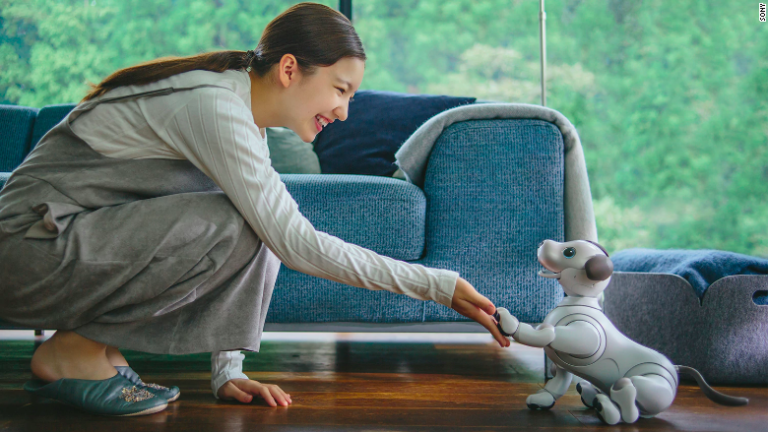 Aibo supports both Wi-Fi and LTE connectivity. This cute, lovely puppy uses wireless charging technology and can recharge itself when it’s battery is low. Just tell it “go and charge yourself” and it will walk straight to it’s wireless charge and sit on it. 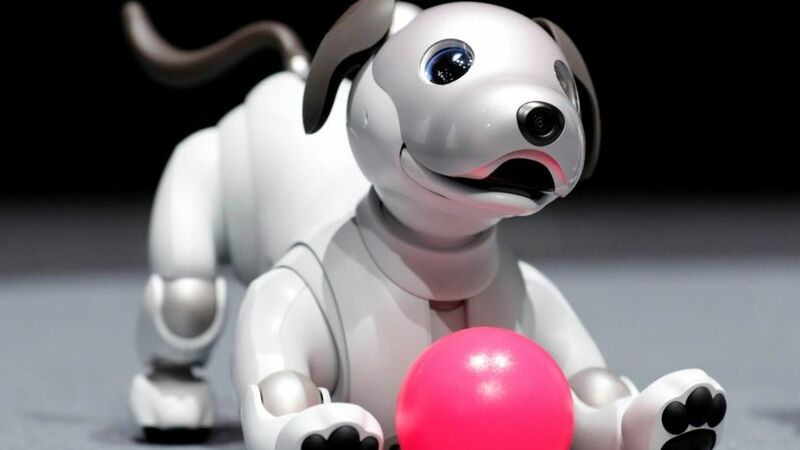 Aibo will learn to roll over on the ground when you’re around and wag it’s tail. You don’t have to worry about feeding it or carrying poo all the time, all it needs is electricity to keep it charged. Using my Aibo app, you can unlock new tricks and functionality. It is quite expensive $3000, which is over N1 million in Nigeria but it was well received in Japan and the United states with over 20,000 units sold already. With this innovation, SONY is sending a loud message that it is ready to compete with tech giants such as Apple, Google, Facebook and Samsung. SONY IS READY TO COMPETE INDEED, I SUPPORT SONY.